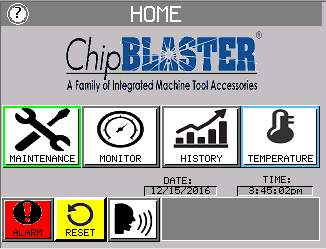 ChipBLASTER adds new Touch Screen HMI Upgrade for FREE! 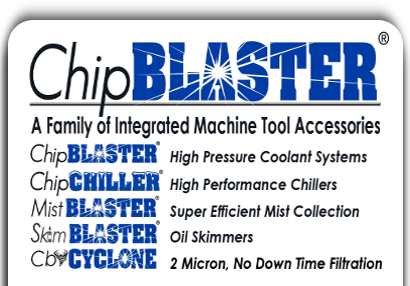 ChipBLASTER recently unveiled a new Touch Screen HMI Display that is standard on most ChipBLASTER units at no additional charge. This new display gives the customer agreat number of customizable options starting with the ability to choose from multiple languages on the screen. 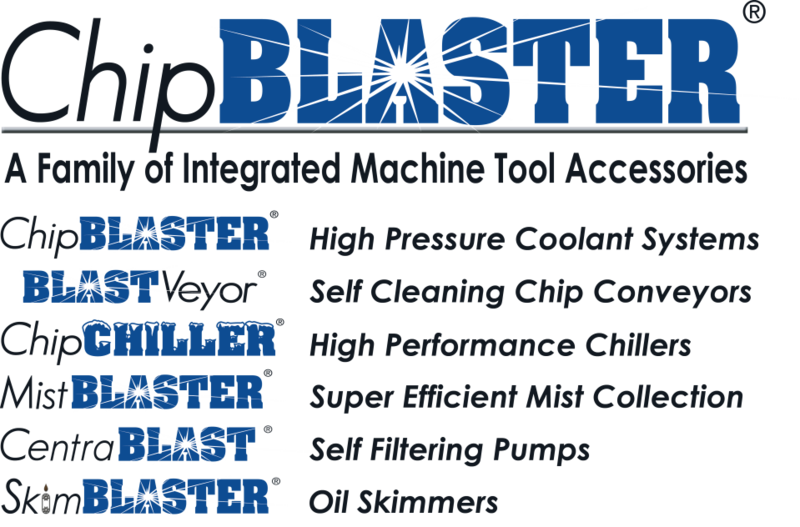 Customers can now easily monitor the pressure and flow of their Variable Pressure ChipBLASTER units. 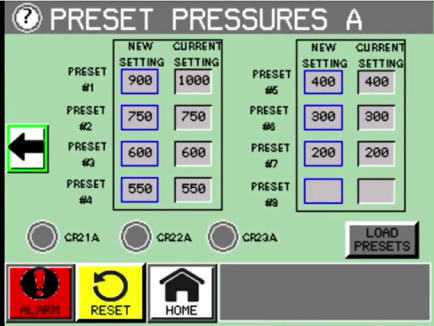 They also now have the ability to change the pressure settings by simply changing values on the display. 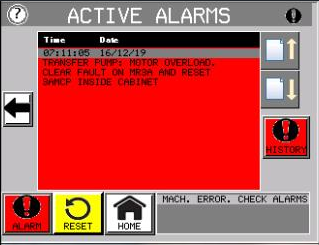 Alarms have been simplified with the addition of Plain English Text which clearly shows the specific alarm that has been triggered along with well-defined instructions on how to remedy the alarm. Once the situation has been taken care of, a message appears on the screen confirming the problem has been corrected. This interaction makes things much simpler for the customer and will drastically reduce down time. 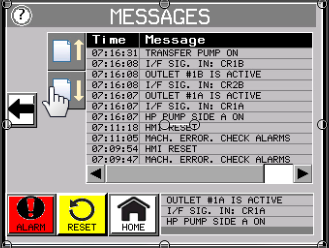 Unit operation is detailed through message screens that appear on the display showing the current status of the ChipBLASTER unit. All messages are stored in history data and are easily viewable. Customizing the ChipBLASTER operation is easy with the new HMI upgrade. A series of adjustments are availablefrom alarm timers to temperature controls on the built-in ChipCHILLER. All parameters are easily adjusted bysimply going to the applicable screen and changing the values. For safety reasons, each field setting has limitsso only a certain range of values are able to be selected. 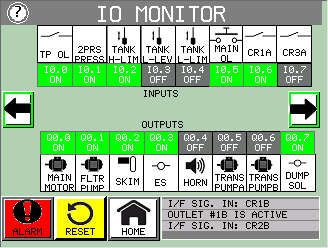 Troubleshooting can now be performed with ease thanks to the screens that interact with the PLC showing all the I/Os. 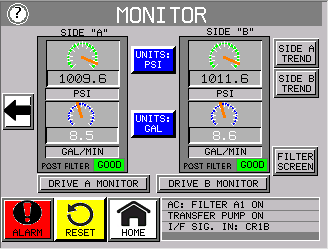 Viewing the PLC status without the need to open the electrical panel is a great safety feature. Troubleshooting is also simplified with the use of the recorded history data which keeps track of unit alarms, pressures and flows of the unit, drive currents, hour meters, and also all unit functions in general. 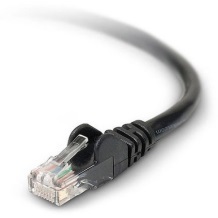 In addition, the new components used with this display allow Ethernet connectivity for further control and monitoring of the ChipBLASTER units. The new Touch Screen HMI display clearly puts ChipBLASTER at the head of the pack. For more information on this Touch Screen HMI Display, contact ChipBLASTER at 800-241-3163.